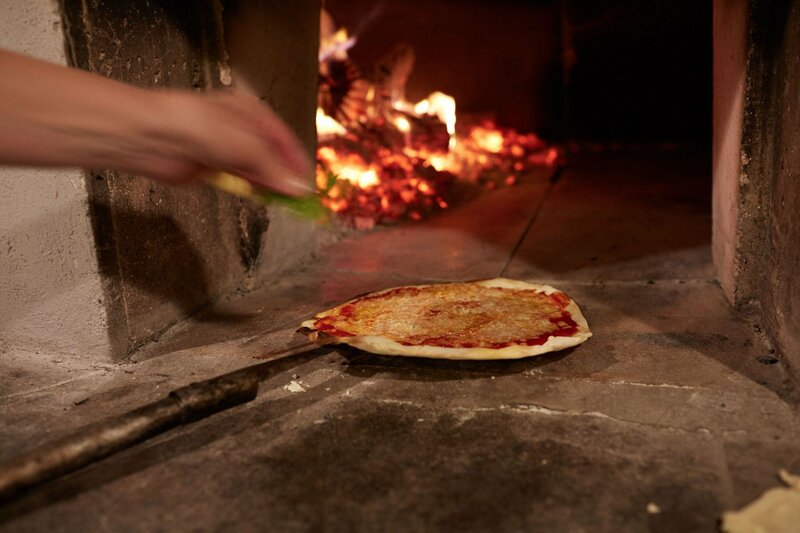 Taste the flavors of authentic Italian foods. Smell the rosemary and lemons that are growing right outside the kitchen. 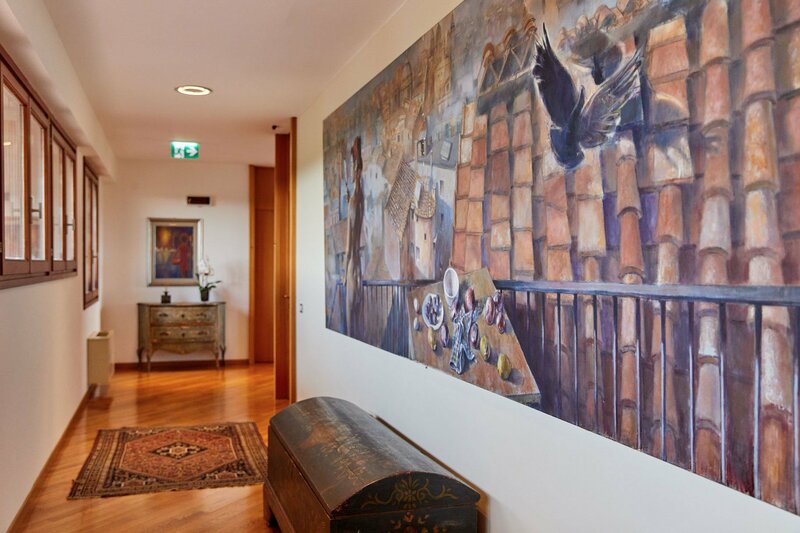 Savor every moment of our luxury Italian countryside villa. 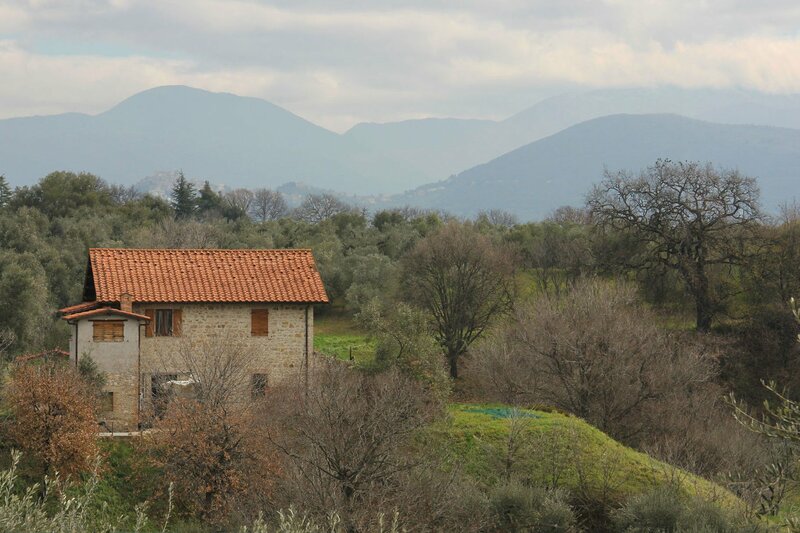 From the moment you arrive, you are welcomed with open arms by the owners and staff at this warm villa that sits on 60 acres of beautiful rolling hills and luscious olive and cherry trees. 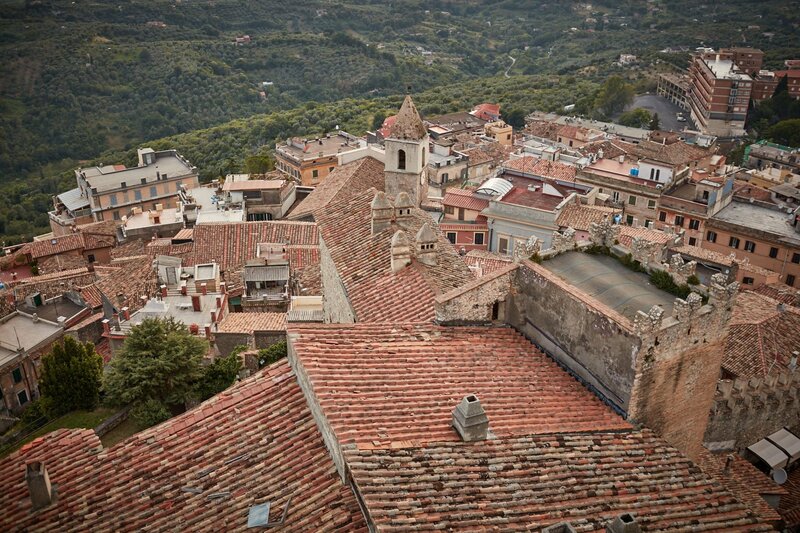 Just 40 minutes from Rome, you’ll feel like you have left the stress of the world behind. 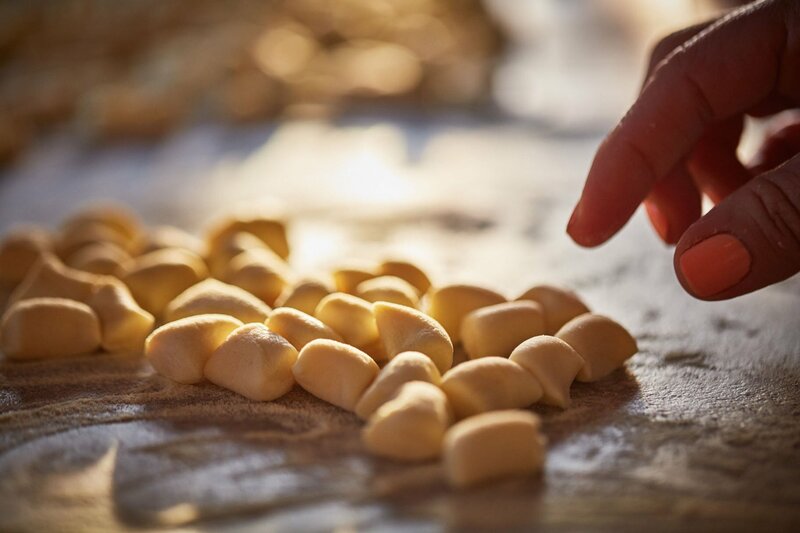 From sumptuous food to cooking lessons and tours, you’ll experience Italy like a local. 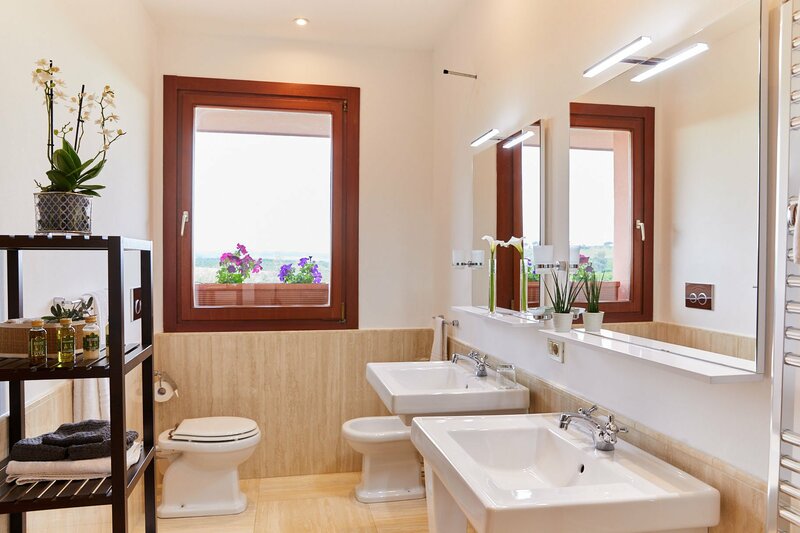 You’ll be cared for and pampered as if you were being immersed in a warm, welcoming Italian family. Originally built by the Micheletta family, who had always nurtured and shared the pleasure of gatherings in their country estate near Rome. They grew up loving their home; the fun and the food that was shared with friends and family alike. During a visit by the Di Girolamo family to the villa in the Spring of 2011, Giuseppe Micheletta and Michael Di Girolamo first discussed their ideas for ways to share this exquisite home with the world and create a vacation experience that was reminiscent of how they vacationed in the Italian countryside. 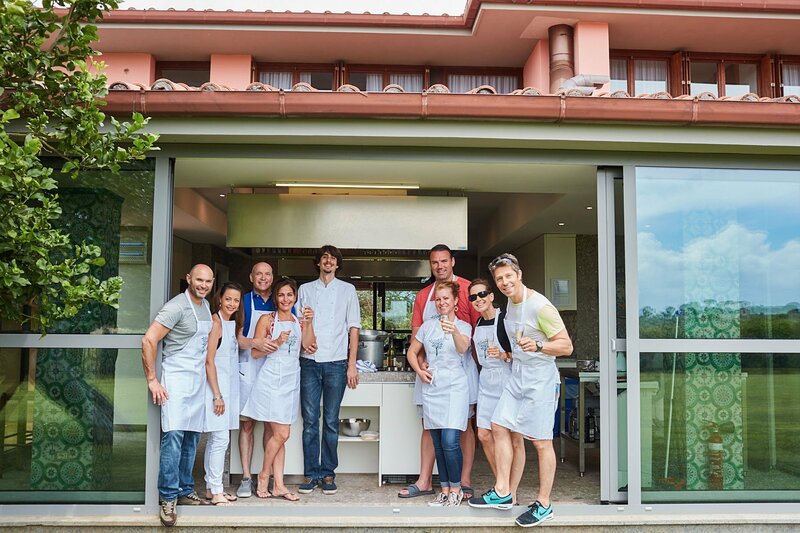 After an extensive renovation, the villa was reborn into a luxurious and yet comfortable modern villa hosting a vacation cooking program that shares the authentic heart of the countryside with guests, who are treated like family. The villa is set among rolling hills of olive groves and cherry orchards. 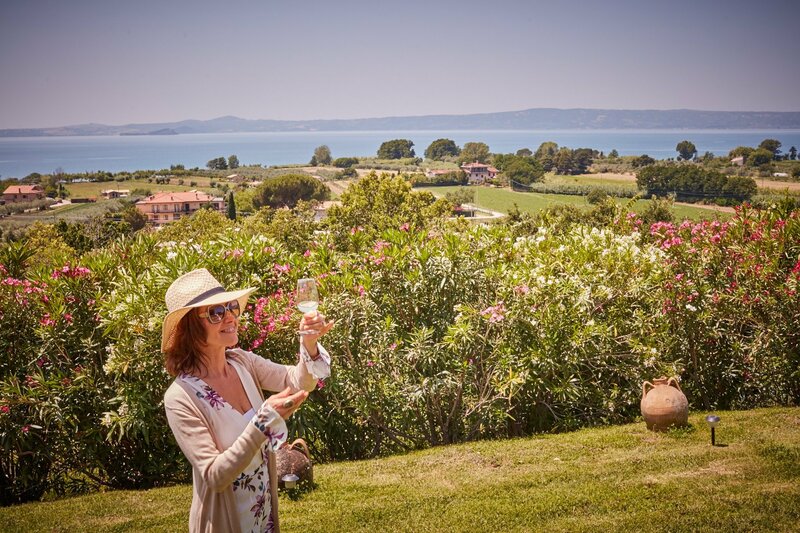 The villa produces some of the finest olive oil in the world and provides the most beautiful backdrop for your vacation. 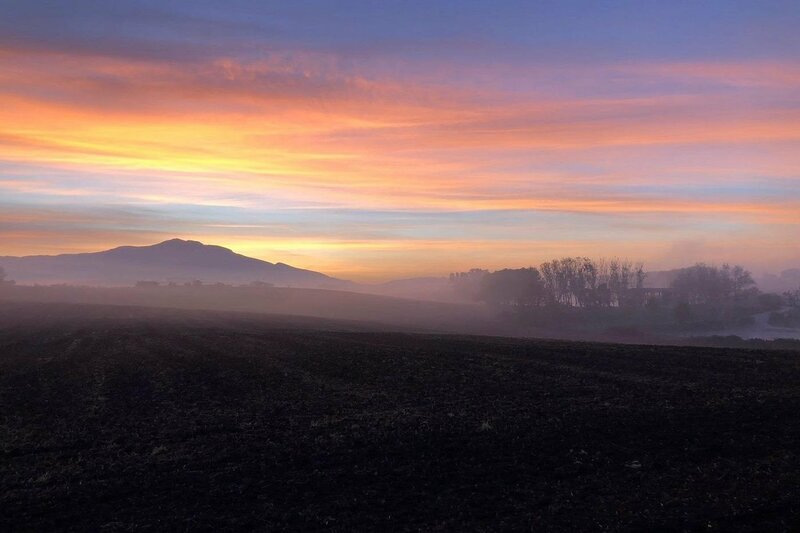 A stay at La Cucina combines the comfort and elegance of an Italian luxury estate, a personal chef, traditional and contemporary Italian food, hands on cooking lessons AND the breathtaking beauty and culture of day trips to Rome, Orvieto (Umbria), Tivoli, Nerola and Palombara Sabina. People tell us that our vacation is so much more than we describe. It is like traveling with a friend who is a local, who takes you to the spots that tourists don’t see and arranges for one-of-a-kind experiences – it’s authentic Italy . 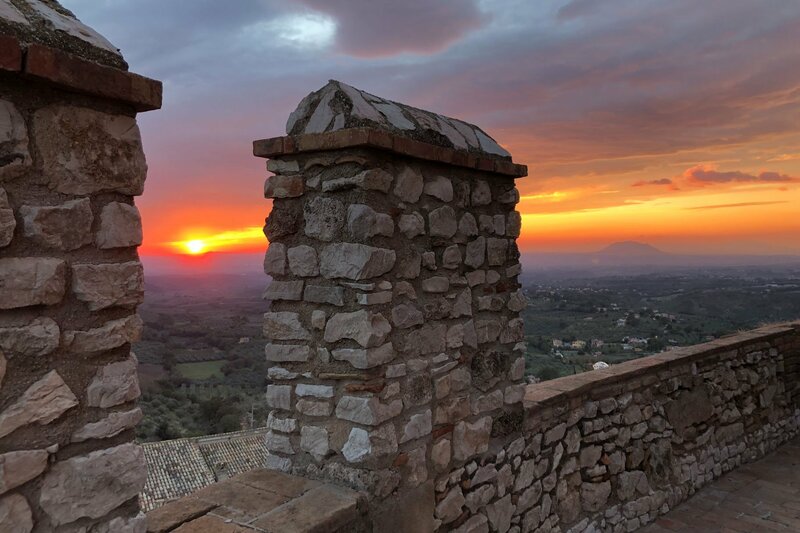 From dinner on a rooftop in Rome, to a private dinner in a medieval castle or lunch with winery owners on their estate, we create a vacation you will talk about for years and memories that will last a lifetime. From the moment you step on the property, you know this is going to be someplace special. You drive past the olive groves and turn into the drive, catch a glimpse of the elegant villa with large, covered verandas and set on a landscape of olive trees and dotted with lemon trees and rosemary bushes. Large windows in the living room overlook the Olympic-size swimming pool. The floor-to-ceiling glass and large patios are inspired by the American architect Frank Lloyd Wright. There are 8 bedrooms, 9 bathrooms, a large dining room, a modern teaching kitchen and a library to relax or play cards in the evening. Of course, there is lots of outdoor seating in which to read, relax and rejuvenate. 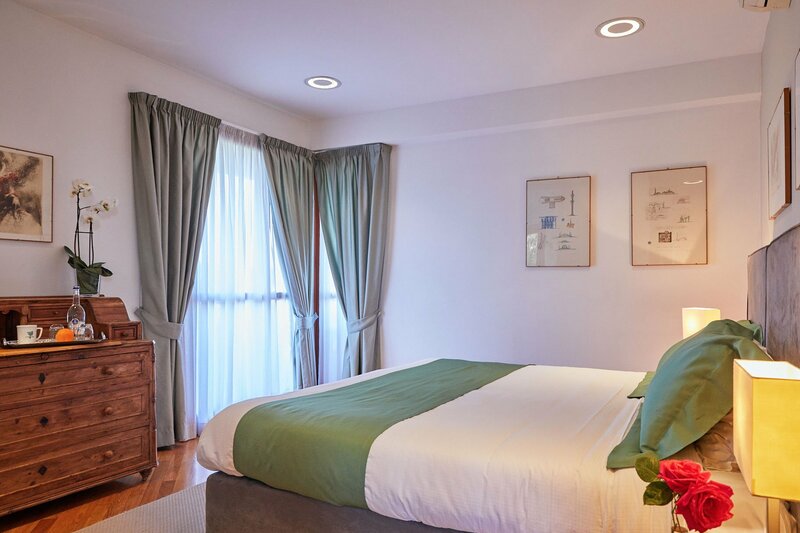 Every bedroom is carefully appointed, with an en-suite bath where you’ll find olive oil infused shampoos and lotions as well as hair dryers and rain head showers perfect for relaxation. Sabina is a picture-perfect combination of breathtaking panoramic views, quaint hilltop villages, medieval castles, and olive groves. It’s an ancient land actually predating Rome. And of course, the local food is spectacular. Quality and freshness are the focus in all our foods and preparations. We are inspired by natural farm to table ingredients. The region is unspoiled by mass tourism, so you’ll experience the area like a local. And you’ll taste olive oil. Fresh, peppery, and delicious olive oil right from our own trees. 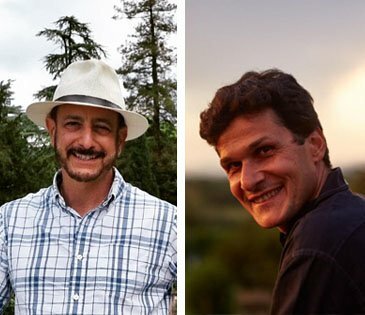 Partners Giuseppe and Mike host guests to create the Italian vacation of a lifetime! 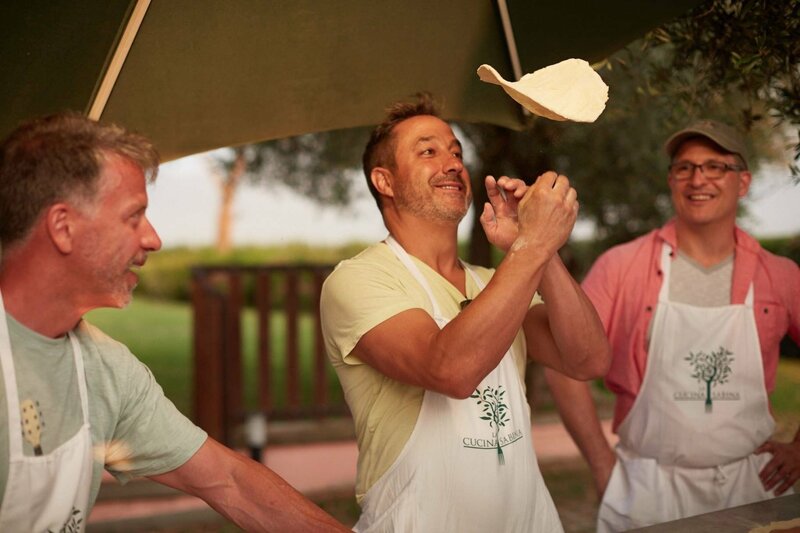 From warm welcomes to guided tours and cooking classes, the duo embraces you as if you were beloved family. Learn more about your hosts.